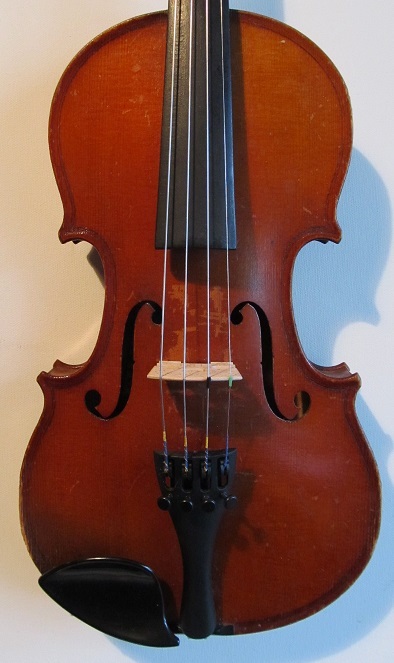 Mid 20th Century Mirecourt violin, half size, labelled 'Artisto'. 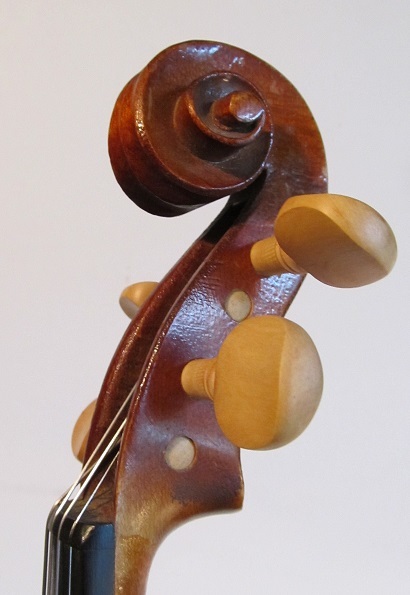 Beautiful instrument with red-gold varnish and a one-piece back of an attractive and unusual flame. It has a clear, strong voice with plenty of volume and growl. 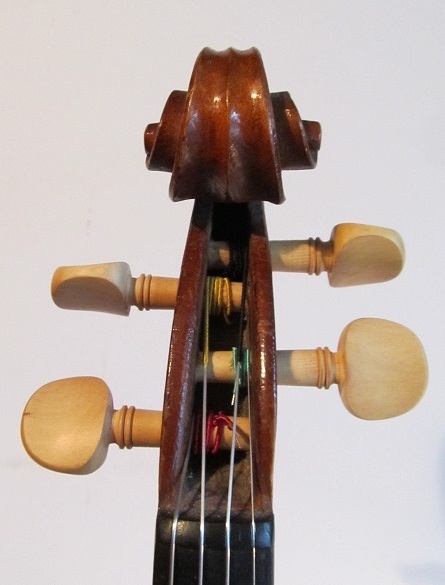 A really brilliant little fiddle, tremendously responsive, ready for an ethusiastic young player to enjoy. Condition: Lots of dings and scratches, including a long one on the back. 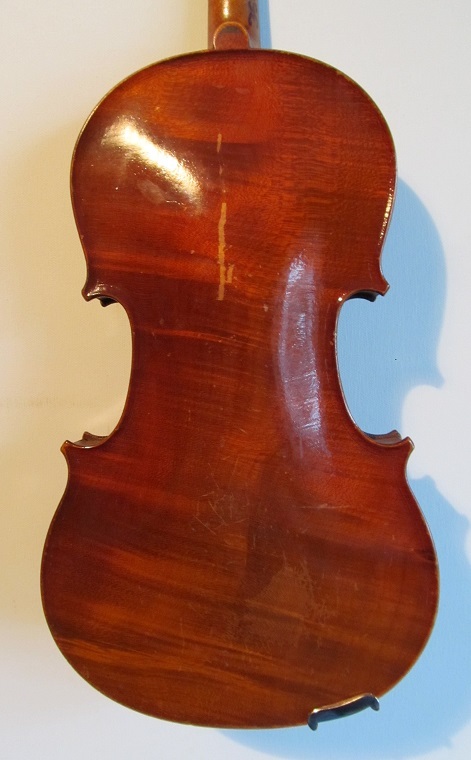 A minor repaired crack under the chin rest, but nothing of any significance. Set up: New boxwood pegs, new Aubert bridge, Wittner tailpiece and Helicore strings.